McDonald’s shares have been trailing the broad markets this year amid a tepid performance. Here’s how the world’s biggest burger chain can turn things around. Forget the spoiled meat scandal in China. McDonald’s (NYSE:MCD) has a bigger problem. The restaurant known for its golden arches has lost its luster in the U.S. The fast-food chain reported sales from U.S. stores open at least one year fell 3.2% in July, marking the ninth-consecutive month of negative or flat same-store sales growth in the U.S. That’s the longest stretch in McDonald’s core market since 2003. No surprise, shares of the blue–chip stalwart are down 2.4% this year, while the S&P 500 has clocked a 7% gain over the same time period. A confluence of factors is converging to pressure McDonald’s U.S. sales. For starters, the company hasn’t had a strong pipeline of menu items the last two years to drive people back into its restaurants. “This is the point in the year for McDonald’s when a lot of the initiatives they put in place to reconnect with their core customer whether through a new menu, a simplified menu or customer service were supposed to be leading to a turnaround in same-store sales and we just haven’t seen that yet,” said Morningstar analyst R.J. Hottovy. As McDonald’s fails to churn out exciting food options, traditional rivals like Wendy’s (NYSE:WEN) are doing a better job offering alluring menu items and getting food out to consumers faster. “Wendy’s has done a fairly good job of innovating its menus the past couple years whereas McDonald’s (menu) has almost become too large and it’s difficult for [the firm] to get new products to markets quickly,” said Hottovy. Meanwhile the company is losing market share to upper-scale, fast casual restaurant chains like Chipotle (NYSE:CMG) and Panera (NASDAQ:PNRA) as customers trade up. Then there are people on the lower end of the income spectrum who are being hurt by a still tepid economy. The chain is also recovering from straying from its popular dollar menu, a psychological draw for consumers that helps drive traffic into its stores. In 2012, McDonald’s cannibalized its dollar menu when it started marketing the extra value menu, which includes higher-priced items at $2, $3, and $4 like the 20-piece chicken McNuggets or double cheeseburger. The company has since started fixing that by playing up the dollar menu more again – branding it as the dollar menu and more. 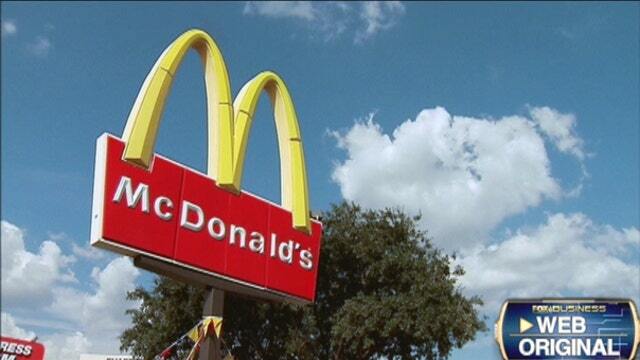 McDonald’s chief executive Don Thompson says the world’s biggest burger chain has lost relevance with some consumers. And S&P Capital IQ’s Levy thinks the firm is becoming less appealing to the millennial generation, who prefer food seen as healthier. Unfortunately for McDonald’s, many analysts don’t think things will turn around soon. Both Levy and Hottovy expect negative U.S. same-store sales from McDonald’s for next six to twelve months. So what can McDonald’s do to regain its luster in the U.S.? In short, it’s got a lot of repairs left. Here’s a to-do list McDonald’s can stick on its fridge. Part of that means better communicating with franchises to figure out which products are selling better than others in regional markets. The good news is McDonald’s is working toward this by cutting back the number of offerings on its menus as well as making certain items more customizable. For instance, McDonald&apos;s set up a learning lab last September in Laguna Niguel, California to test customizable burgers. Improve its supply chain. McDonald’s needs to better communicate and coordinate with its suppliers and its franchisees to improve how quickly it brings products from the test phase to national rollout. “If they see products that are working in test markets, they should start planning ahead of time or start letting suppliers know they’ll need more of a particular product or ingredient,” said Hottovy. In 2012, McDonald’s wanted to debut a premium burger called the English Pub burger. But, the burger never launched in the U.S. because McDonald’s couldn’t get enough of the buns they needed to use from the supplier. In a separate incident, a blueberry smoothie launch was delayed for months because the restaurant couldn’t line up a large enough blueberry supply. Contrast that with successful products from Wendy’s and Jack in the Box (NASDAQ:JACK) that went from test phase to nationwide rollout in a matter of months. Can McDonald’s learn from Starbucks? As Mickey D’s tries to right itself, it might take a page out of Starbucks’s playbook. Starbucks has become the gold standard for how restaurants should integrate technology into their businesses to improve operations and profits – something McDonald’s could learn from. Starbucks is changing how consumers interact when they enter stores through its mobile app- whether it’s enabling customers to pay with their smartphones to speed up ordering lines or special offers through its mobile app. McDonald’s could better integrate technology by using it to staff appropriately during peak and off-peak hours, by creating the ability for customers to order and pay via mobile or to simplify kitchen operations. McDonald’s is looking into creating mobile payment and ordering systems, something that would speed up transactions. Morningstar’s Hottovy suggests McDonald’s could use mobile apps to fine tune marketing communications or use it to tie in with the kids games.